The title of this post says it all. 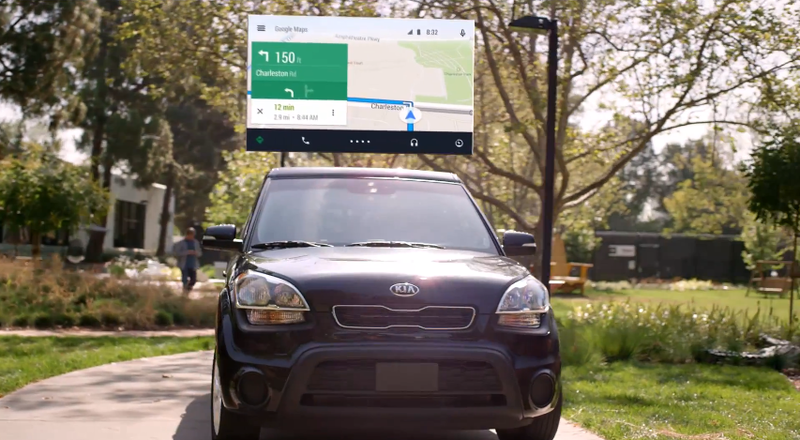 If you own an Android smartphone running Android 5.0 Lollipop, you owe it to yourself to get Android Auto in your car. It is the safer and smarter way to use Android apps while you drive. The least expensive option to bring Google's latest in-car software to the vehicle you already own is the Pioneer AVH-4100NEX head unit. And this device which is priced at $700 by the manufacturer can be yours for only $526 through Amazon. The AVH-4100NEX features a 7-inch touchscreen with multiple connectivity options including Apple CarPlay-comaptiblity and a full range of robust features. Note: Other requirements to install a double-DIN aftermarket head unit can be obtained by contacting your car manufacturer or local car audio store. Full specifications on the AVH-4100NEX can be found on Pioneer Electronics' website. Image source: Android Auto.